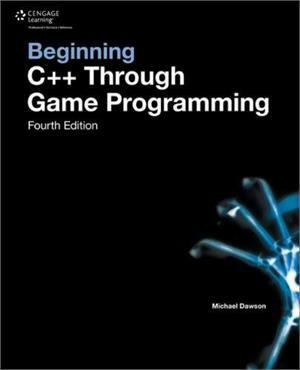 When it comes to game programming, C++ is the name of the game. If you aspire to move from game player to game creator, it all starts with learning the fundamentals of C++ and game-programming basics. With Beginning C++ Through Game Programming, you will find an up-to-date and thorough introduction to everything you need in order to learn the fundamentals of C++ and text-based game programming basics. No previous programming experience is necessary – the book starts you off right at the beginning. In the new fourth edition of this popular guide to learning C++, you will glide through small but complete programs for each new concept, and explore a full game program at the end of each chapter. Finally, you'll be presented with a major game project at the end of the book that brings together everything you’ve learned. 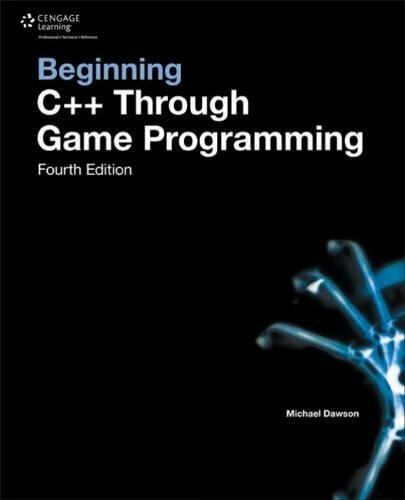 Written by computer game designer Michael Dawson with the beginning programmer in mind, Beginning C++ Through Game Programming is a great way to get started in game programming. Michael Dawson has worked as both a programmer and a computer game designer and producer. In addition to real-world game industry experience, he earned his bachelor's degree in Computer Science from the University of Southern California. He has developed and taught game programming courses for UCLA Extension, The Digital Media Academy, and The Los Angeles Film School. In addition, his books have been used in colleges and universities.